Pesticides, herbicides and fungicides are big problems here in Shanghai. Apparently we live in the city with the highest reported field application of pesticides (kilograms per hectare) out of the whole country. 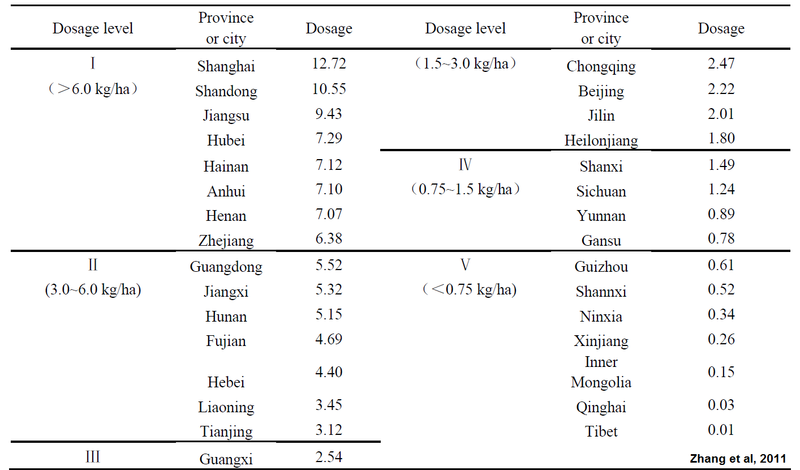 According to the report by Zhang et al 'Global pesticide consumption and pollution: with China as a focus' Shanghai applies 12.72 kilograms per hectare of pesticides, which was the heaviest utilization of 32 cities and provinces studied. 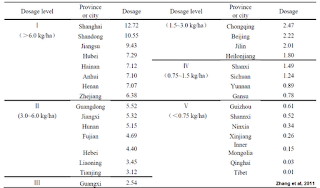 The lowest utilization rates were in the least industrialized provinces, Inner Mongolia and Tibet (0.15, 0.01 kg/ha respectively). Although the knowledge and understanding are incomplete, the data and information on how pesticides, herbicides and fungicides are transported, degraded and distributed into the ecosystem are pretty damning. The toxicity effects may not immediately disable and maim but may be chronically sublethal and epigenetic. Since all life on earth is interconnected, the network of disturbances can be subtle. Damaging effects perhaps act in concert either additively or synergistically with other stressors, gut dysbiotic factors and amplified by our trigger-happy immune systems. Zhang et al say that 99% of pesticides, herbicides and fungicides do not even hit the intended target. 99% of pesticide applications are distributed into the environment and ecosystem by spray drift and surface water runoff. 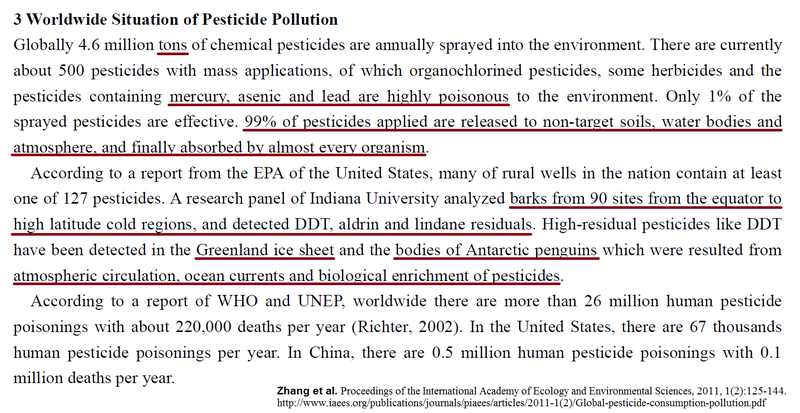 The investigators Zhang et al state 'High-residual pesticides like DDT have been detected in the Greenland ice sheet and the bodies of Antarctic penguins which were resulted from atmospheric circulation, ocean currents and biological enrichment of pesticides.' The early players of the damage and adverse effects are the bees, insectal larvae and algae on land and in related water masses. In the next tier of ecological effects, their predators (insects, fish, sealife) are affected either indirectly by reduction of food availibility or direct biochemical, metabolic, immune, endocrine, sexual and reproductive disruptions. And... Up and up the PREDATOR ECOSYSTEM CHAIN. My family and stopped eliminated 80-90% of our fish and seafood consumption (both farmed and wild) when I was first pregnant 12 years ago. I figured what wasn't safe for my baby and I just was not safe, PERIOD. We try to eat ancestrally but seafood just is not part of the equation at this time. Many cultures who subsist on fish and their marine predators (seal, whale) are documented to have elevated levels of persistent organic pollutants (POPs, pesticides, PCBs, solvents, etc) and heavy metals: Great Lake Anishinaabe, Arctic and Greenland Inuit, natives of the Alaskan Aleutian Islands, Amazon Brazilians, Peruvians, and Faroe Islands inhabitants. Where is the source? Pesticides and industrial pollution are bioaccumulated in algae, daphnia, marine life and large predacious fish and marine mammals. Human variance shows that not everyone is severely affected by heavy metals (mercury) and pesticides but certainly some are more sensitive than others or bioaccumulate at extremely higher rates than other individuals. The carriers of apo E4 allele, the ancestral 'efficiency' allele, appear to exhibit higher harboring and decreased detoxification of trace heavy metals (iron, copper, lead, mercury). This may explain the link between increased incidence of central obesity, metabolic syndrome, T2DM, Alzheimer's and dementia and those of ethnic descent where the apo E4 allele is more dominant (Inuit, Amerindians, aborigine subpopulations, northern Chinese, northern European, Africa). Living in China has many 'challenges' (I could list but that would be a brick of novella) but I would have to say food safety TOPS my MANY MANY MANY lists. On one hand Shanghai is one of the most progressive cities of the world I have been fortunate to visit (Paris, Hamburg, NYC, Chicago, SF, Tokyo, Kyoto, Taipei) yet in the context of food safety and standards of quality, I think it is one of the cities with the least quality control and national oversight. For every daily food safety scandal that hit the media, I always wonder how many dozens didn't hit the media under China's scrupulous censorship. We live here in the times that pre-date Upton Sinclair's 'The Jungle' (free PDF HERE, courtesy of Penn State). 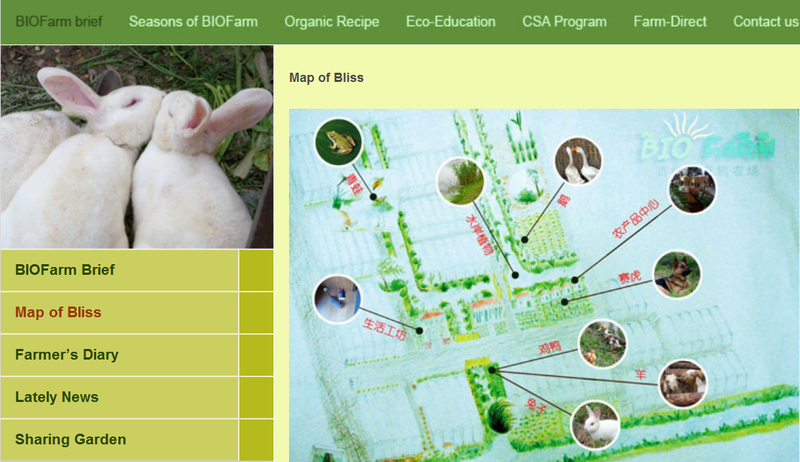 Super wonderful people here in Shanghai have been graciously generous in sharing their food suppliers ('The Avocado Lady'), chains of safe food purveyors and organic grassfed meat and egg sources, CSAs (see picture BIOFarm) and safe homemade goodies. Part of the adventure of expat living has been meeting other like-minded freaks in a foreign country. Global pesticide consumption and pollution: with China as a focus. Zhang et al. Proceedings of the International Academy of Ecology and Environmental Sciences, 2011, 1(2):125-144. Greenpeace 2009 News. Pesticides: Not Your Problem? Is "USDA Organic" a seal of deceit? The pitfalls of USDA certified organics produced in the United States, China and beyond. Mercury Toxicity and Treatment: A Review of the Literature. Robin A. Bernhoft. J Environ Public Health. 2012; 2012: 460508. Sources of Mercury Exposure for U.S. Seafood Consumers: Implications for Policy. Noelle E. Selin, Elsie M. Sunderland, Christopher D. Knightes, Robert P. Mason. Environ Health Perspect. 2010 January; 118(1): 137–143. The influence of nutrition on methyl mercury intoxication.L Chapman, H M Chan. Environ Health Perspect. 2000 March; 108(Suppl 1): 29–56. Neurobehavioral effects of developmental methylmercury exposure. [low chronic levels cause neurologic effects] S G Gilbert, K S Grant-Webster. Environ Health Perspect. 1995 September; 103(Suppl 6): 135–142. New Evidence on Variations of Human Body Burden of Methylmercury from Fish Consumption.René Canuel, Sylvie Boucher de Grosbois, Laura Atikessé, Marc Lucotte, Paul Arp, Charles Ritchie, Donna Mergler, Hing Man Chan, Marc Amyot, Robin Anderson. Environ Health Perspect. 2006 February; 114(2): 302–306. Impacts of traditional food consumption advisories: Compliance, changes in diet and loss of confidence in traditional foods. Claire McAuley, Loren D Knopper. Environ Health. 2011; 10: 55. The Changing Landscape of Arctic Traditional Food. Tim Lougheed. Environ Health Perspect. 2010 September; 118(9): A386–A393. Apolipoprotein E (APOE) allele distribution in the world. Is APOE*4 a 'thrifty' allele? Corbo RM, Scacchi R. Ann Hum Genet. 1999 Jul;63(Pt 4):301-10. Apolipoprotein E and atherosclerosis in Greenland Inuit. Boudreau DA, Scheer WD, Malcom GT, Mulvad G, Pedersen HS, Jul E.Atherosclerosis. 1999 Jul;145(1):207-19. Synergy between the C2 allele of transferrin and the C282Y allele of the haemochromatosis gene (HFE) as risk factors for developing Alzheimer's disease. [the effects areextremely exacerbated in apoE4 carriers] Robson KJ, Lehmann DJ, Wimhurst VL, Livesey KJ, Combrinck M, Merryweather-Clarke AT, Warden DR, Smith AD.J Med Genet. 2004 Apr;41(4):261-5. Alzheimer disease: mercury as pathogenetic factor and apolipoprotein E as a moderator. Mutter J, Naumann J, Sadaghiani C, Schneider R, Walach H.Neuro Endocrinol Lett. 2004 Oct;25(5):331-9. An observational study on the influence of the APOE-epsilon4 allele on the correlation between 'free' copper toxicosis and EEG activity in Alzheimer disease.Zappasodi F, Salustri C, Babiloni C, Cassetta E, Del Percio C, Ercolani M, Rossini PM, Squitti R.Brain Res. 2008 Jun 18;1215:183-9. Bioaccumulation syndrome: identifying factors that make some stream food webs prone to elevated mercury bioaccumulation. Darren M. Ward, Keith H. Nislow, Carol L. Folt. Ann N Y Acad Sci. 2010 May; 1195: 62–83. Fish Consumption and Advisory Awareness in the Great Lakes Basin. Pamela Imm, Lynda Knobeloch, Henry A. Anderson, the Great Lakes Sport Fish Consortium. Environ Health Perspect. 2005 October; 113(10): 1325–1329. Evaluation of Mercury Exposure Reduction through a Fish Consumption Advisory Program for Anishinaabe Tribal Members in Northern Wisconsin, Michigan, and Minnesota. J. A. Foran, A. D. DeWeese, M. J. Hudson, N. E. Kmiecik. J Environ Public Health. 2010; 2010: 802584. Adult Women’s Blood Mercury Concentrations Vary Regionally in the United States: Association with Patterns of Fish Consumption (NHANES 1999–2004). [higher mercury in the more affluent, more Asian, more coastal, more fisheating] Kathryn R. Mahaffey, Robert P. Clickner, Rebecca A. Jeffries. Environ Health Perspect. 2009 January; 117(1): 47–53. Elevated Mercury Concentrations in Humans of Madre de Dios, Peru. Katy Ashe. PLoS One. 2012; 7(3): e33305. Research into Mercury Exposure and Health Education in Subsistence Fish-Eating Communities of the Amazon Basin: Potential Effects on Public Health Policy.José G. Dórea. Int J Environ Res Public Health. 2010 September; 7(9): 3467–3477. A preliminary study of mercury exposure and blood pressure in the Brazilian Amazon. Myriam Fillion, Donna Mergler, Carlos José Sousa Passos, Fabrice Larribe, Mélanie Lemire, Jean Rémy Davée Guimarães.Environ Health. 2006; 5: 29. Hydroxylated PCB metabolites and PCBs in serum from pregnant Faroese women.Britta Fängström, Maria Athanasiadou, Philippe Grandjean, Pál Weihe, Ake BergmanEnviron Health Perspect. 2002 September; 110(9): 895–899. Levels of Polychlorinated Biphenyls (PCBs) and Three Organochlorine Pesticides in Fish from the Aleutian Islands of Alaska.Sara Hardell, Hanna Tilander, Gretchen Welfinger-Smith, Joanna Burger, David O. Carpenter. PLoS One. 2010; 5(8): e12396. Re-evaluation of blood mercury, lead and cadmium concentrations in the Inuit population of Nunavik (Québec): a cross-sectional study. Julie Fontaine, Éric Dewailly, Jean-Louis Benedetti, Daria Pereg, Pierre Ayotte, Serge Déry. Environ Health. 2008; 7: 25. Assessment of dietary exposure to trace metals in Baffin Inuit food.H M Chan, C Kim, K Khoday, O Receveur, H V Kuhnlein. Environ Health Perspect. 1995 Jul-Aug; 103(7-8): 740–746. Determinants of polychlorinated biphenyls and methylmercury exposure in inuit women of childbearing age.G Muckle, P Ayotte, Dewailly E, S W Jacobson, J L Jacobson. Environ Health Perspect. 2001 September; 109(9): 957–963. Additionally pesticides are employed in municipalities (public schools, parks, government land) and personal home use (termites, ant control, weeds control, lawns, etc). Although pesticides do not taste, smell or look toxic, they are not benign and without metabolic dysregulation consequences. New studies in PubMed are cropping (pun intended) up in number pointing directly to insulin resistance, obesogenic, neurologic and inflammatory damage secondary to this broad group of pervasive chemicals known as persistent organic pollutants (POPs). They are difficult to avoid as once in the soil, air or bodies of water, fish, birds and animals, they typically fail to degrade and significantly impact the environment. The researcher Alavanja states 'Over 1 billion pounds of pesticides are used in the United State (US) each year and approximately 5.6 billion pounds are used worldwide (1). In many developing countries programs to control exposures are limited or non-existent. As a consequence; it has been estimated that as many as 25 million agricultural workers worldwide experience unintentional pesticide poisonings each year (4). In a large prospective study of pesticide users in the United States, the Agricultural Health Study, it was estimated that 16% of the cohort had at least one pesticide poisoning or an unusually high pesticide exposure episode in their lifetime (5). Pesticide use on crops grown in the South (tobacco) and Mid-West (corn, wheat, soy) trends well with U.S.A. obesity patterns [hat tip: LePine MD]. 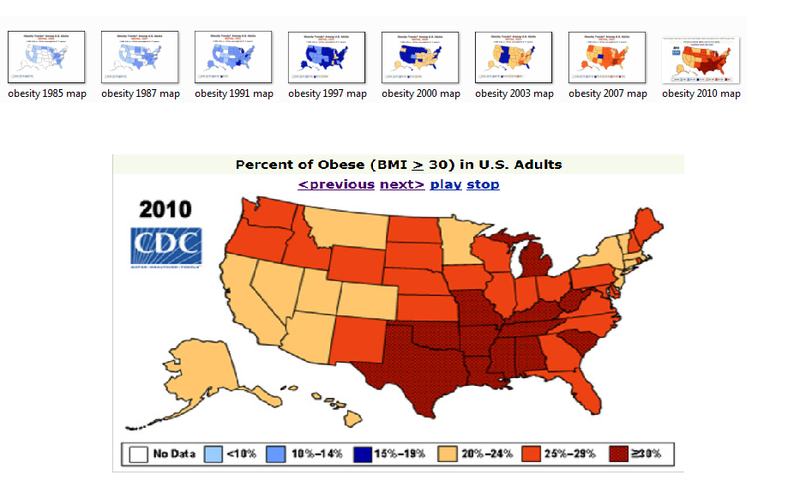 Above is the trend of obesity that starts mid-1980s then grows exponentially each few years. Maps are from Lim et al and BFRSS data. It's therefore not surprising to read about the toxic effects of pesticides on pests whose networked pathways overlap almost precisely with our own cells. Atrazine is a mitochondrial toxin, and our mitochondria are the sole energy generators and powerhouses whether the substrate is glycogen, glucose or fatty acids. 'A close association between mitochondrial dysfunction and insulin resistance is well established –. In in vitro studies, we found that artificial induction of mitochondrial dysfunction induced insulin resistance , .' This is discussed by Lim et al. He and his colleagues performed an experiment on rodents. They fed low levels of atrazine to rats then examined lab parameters for insulin resistance (IR). What happened? The higher the dose of atrazine, the higher the obesity and insulin resistance. Atrazine was associated with mitochondrial dysfunction, higher visceral (organ) fat deposition, higher blood glucoses and decreased energy metabolism. Another group of researchers, Ruzzin et al, tested a similar hypothesis. They fed crude Atlantic salmon oil to rodents and examined IR parameters. They state 'POPs accumulate in the lipid fraction of fish, and fish consumption represents a source of POP exposure to humans (Dougherty et al. 2000; Hites et al. 2004; Schafer and Kegley 2002). Therefore, certain European countries have dietary recommendations to limit the consumption of fatty fish per week (Scientific Advisory Committee on Nutrition 2004).' They discovered similar insulin resistant results when they exposed fat cells in vitro to a POP mixture that mimicked the relative abundance of contaminants found in crude salmon oil. Insulin signalling was broken and impaired. 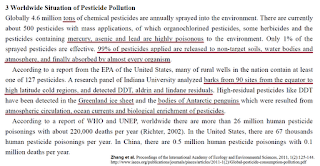 Pesticides Use and Exposure Extensive Worldwide. Michael C.R. AlavanjaRev Environ Health. 2009 Oct–Dec; 24(4): 303–309. The Tobacco Industry and Pesticide Regulations: Case Studies from Tobacco Industry Archives. Patricia A. McDaniel, Gina Solomon, Ruth E. Malone. Environ Health Perspect. 2005 December; 113(12): 1659–1665. Chronic Exposure to the Herbicide, Atrazine, Causes Mitochondrial Dysfunction and Insulin Resistance. Soo Lim, Sun Young Ahn, In Chan Song, Myung Hee Chung, Hak Chul Jang, Kyong Soo Park, Ki-Up Lee, Youngmi Kim Pak, Hong Kyu LeePLoS ONE. 2009; 4(4): e5186. Persistent Organic Pollutant Exposure Leads to Insulin Resistance Syndrome. Jérôme Ruzzin, Rasmus Petersen, Emmanuelle Meugnier, Lise Madsen, Erik-Jan Lock, Haldis Lillefosse, Tao Ma, Sandra Pesenti, Si Brask Sonne, Troels Torben Marstrand, Marian Kjellevold Malde, Zhen-Yu Du, Carine Chavey, Lluis Fajas, Anne-Katrine Lundebye, Christian Lehn Brand, Hubert Vidal, Karsten Kristiansen, Livar FrøylandEnviron Health Perspect. 2010 April; 118(4): 465–471. Effect of Endocrine Disruptor Pesticides: A ReviewWissem Mnif, Aziza Ibn Hadj Hassine, Aicha Bouaziz, Aghleb Bartegi, Olivier Thomas, Benoit RoigInt J Environ Res Public Health. 2011 June; 8(6): 2265–2303. "With Earth from above, I simply want people to see the Earth as it is today, as faithfully as possible. What motivates me is the impact a photograph can make within the framework of environmental preservation. The great novelty of our time is that mankind has the power to change its environment and I want my photos to testify to this fact so people can realise this." A couple of things I harass and harp on are now shaded in grey instead of the archetypical black-white which I tend to prefer for simplicity and reductionism. My kids eat gluten (at school and parties) and in choosing my battles, I've accepted certain facts of life. They're going to be exposed, they like it and we just all have to do our best. And our best is a template based on strictly relative terms (e.g. my mood). Gluten is definitely a struggle stillsince it permeates all restaurant food and sauces. On alibaba.com, one can purchase cheap bags of high-protein (high-toxicity) hybridized modern wheat or maize gluten (vital wheat gluten 75% of total protein wet content) in which a restaurant, supplier or large-scale cook can 'doctor up' their goodies. Gluten imparts many favorable food benefits: moisure, 'perfect viscoelasticity', taste, addiction, bounciness, baked good fluffiness, sauce thickening, dough extension, sausage filler, meatball tenderness (lionhead casseroles are infamous), petfood 'protein', etc. With all that said, since moving to Shanghai, quite honestly I have been surprised by the number of people aware of gluten intolerance and progressive in that manner, and grateful that the volume of gluten is far less here in China than the USDA-Big Agra-permeated culture of the U.S.
--See prior adrenal tagged posts. Martin Berkham fanboys [I'm jealous of y'lls kevlar-coated adrenal glands] may go please very gently f*ck yourselves...and continue cortisol-inducing yo-yo dieting and eating cheesecake. Sorry. #FAILEO if one has f*cked up adrenals. --I'm ambivalent because I cannot and I know a lot people who this is the case. Why? Hormone fluxes are sometimes OFF and subOPTIMAL. Who loses fat and gains optimal health with higher glycemic loads and higher GI foods? I've seen this work well in the athletic, the insulin sensitive and the ones who perform high or decent volume glycolytic activity. 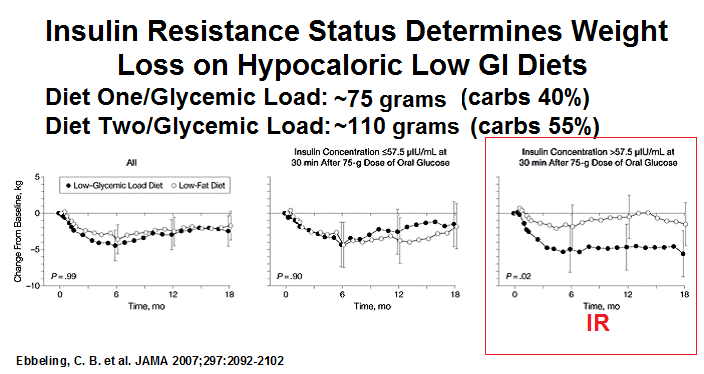 See Poliquin on Carb Intake to Meet Glycolytic Repetition Volume. Also gotta see Sloth and Astrup. 3. The USDA is playing a joke on us... I don't trust the pyramid or anything else they purport, especially if it involves Monsatan or their former executives who now frequently staff places like the FDA or EPA (Environmental 'Protection' Agency). BRILLIANT. 6. Too much sugar is toxic, addictive, fattening and inflammatory. When I'm not stressed out and working out a ton, I can do sugar with relative impugnity. YET. During certain times of my menstrual cycle or when I am not strenuously working out, I notice if I hit (some) sugar (e.g. organic palm, organic coconut sugar, white stuff, etc) then I will inevitably want to do lines of crack/sugar over and over and over and over infinitum again (e.g. candy cigarettes or almond flour pound cake or cookies). Live probiotic Bifidobacterium lactis bacteria inhibit the toxic effects induced by wheat gliadin in epithelial cell culture. K Lindfors,* T Blomqvist,* K Juuti-Uusitalo,* S Stenman,* J Venäläinen,† M Mäki,* and K Kaukinen‡. Clin Exp Immunol. 2008 June; 152(3): 552–558. INFECTIONS, TOXIC CHEMICALS AND DIETARY PEPTIDES BINDING TO LYMPHOCYTE RECEPTORS AND TISSUE ENZYMES ARE MAJOR INSTIGATORS OF AUTOIMMUNITY IN AUTISM. A. VOJDANI,J.B. PANGBORN; E. VOJDANI; E.L. COOPER. INTERNATIONAL JOURNAL OF IMMUNOPATHOLOGY AND PHARMACOLOGY Vol. 16, no. 3, 189-199 (2003). Low glycemic index diets and body weight. B Sloth and A Astrup. 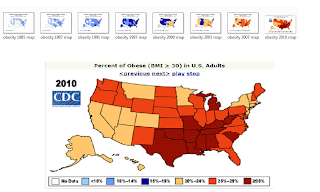 International Journal of Obesity (2006) 30, S47–S51. Effects of a Low–Glycemic Load vs Low-Fat Diet in Obese Young Adults. Ebbeling, Ludwig, et al. JAMA. 2007;297(19):2092-2102. 297(19):2092-2102.